Vinod K.R. *, Sandhya.S, Sathish Kumar D, Harani A, David Banji and Otilia JF Banji. Hypertension, or high blood pressure, is a very common and serious condition that can lead to or complicate many health problems. The risk of cardiovascular morbidity and mortality is directly correlated with blood pressure. Risks of stroke, MI, angina, heart failure, kidney failure or early death from a cardiovascular cause are directly correlated with BP. The role of drug treatment, diet control, exercise are discussed in this review. This reviewcovers ,various categories of structurally novel therapeutically active flavonoidsand their derivatives used in therapeutics, their chemical structures, crudedrug sources, mechanisms of action, and interactionswith different classes of synthetic drugs. Usually HPLC, HPTLC and UVspectrophotometric methods can be used effectively for the qualitative andquantitative estimation of Flavonoides and related compounds in crude drugs. Researchesare underway to study the effect of several flavonoids in diseases such aspneumonia, cancer, amoebic dysentery, worm infestations through bioinformaticsstudies of docking flavonoides on different protein structures involved inthese diseases. Medicines are designed to prevent or treat illnesses, or relieve symptoms. Any medicine can cause adverse reactions. These reactions may not be discovered until many people have used the medicine over a period of time. They can occasionally appear after a person has stopped taking a medicine as well. Patients are no longer passive recipients of drug therapy instigated by medical professionals. 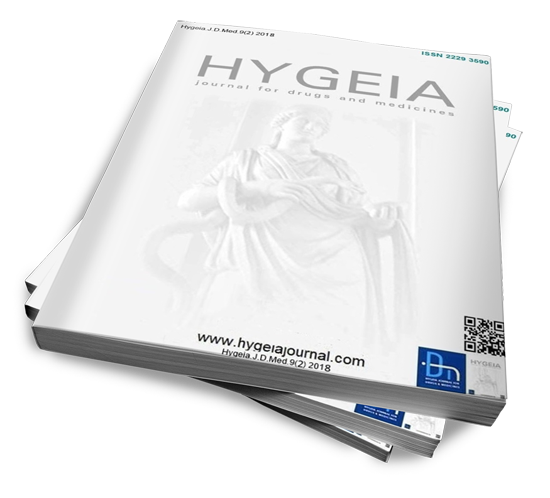 For downloading full text articles and issues in PDF, at free of cost , you have to fillup the hygeia registration form. At any time, you may request for the removal of your contact information from our website database. This is a collection of viewpoints of personalities from different scientific disciplines. Inviting your valuable response for this debate, and will be posted in this section automatically …. There is a general conception that, herbs are natural therefore, they are completely safe. In fact, herbs or herbal preparations can cause toxic adverse effects, serious allergic reactions and adverse drug /diet interactions. The efficacy of a drug substance is its capacity to produce a desired therapeutic effect, or the relative ability of a drug receptor complex to produce maximum functional response. Nowadays, in health care systems the term 'clinical effectiveness' or 'clinical governance' is preferred instead of efficacy, though both are having similar meanings. The term clinical effectiveness includes the sum total of the pharmacological and the non medical effects of bioactive compounds that may act synergistically, otherwise termed as placebo effect, or sometimes antagonistically or the nocebo effect. Application of novel trial designs such as Point Of Care clinical trial ( POC –CT) ,a newly derived clinical trial approach developed by Dr.Philip Lavori of Stanford University, compares treatments that doctors are already using, and collects data on which treatments work best within the context of real-world, everyday practice. The emergence of modern standardization tools like proteomics, bioinformatics and various chemical docking studies may improve the identification of the evidence based herbal constituents and products in the future. 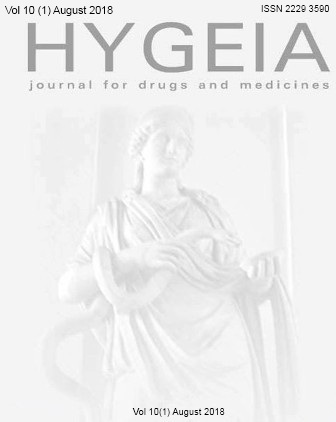 The development of an inhalant therapy that is efficacious and safe depends not only on a pharmacologically active molecule, but also on a well-designed delivery system and formulation. It is the optimization of the whole system (drug, drug formulation and device) that is necessary for the successful development of inhalation therapies, both new and old, for the treatment of local and systemic diseases. Drug–device combinations must aerosolize the drug in the appropriate particle size distribution and concentration to ensure optimal deposition and dose in the desired region of the lung. As more efficient pulmonary delivery devices and sophisticated formulations become available, physicians and health professions will have a choice of a wide variety of device and formulation combinations that will target specific cells or regions of the lung, avoid the lung's clearance mechanisms and be retained within the lung for longer periods.The more efficient, user-friendly delivery devices may allow for smaller total deliverable doses,decrease unwanted side-effects and increase clinical effectiveness and patient compliance. 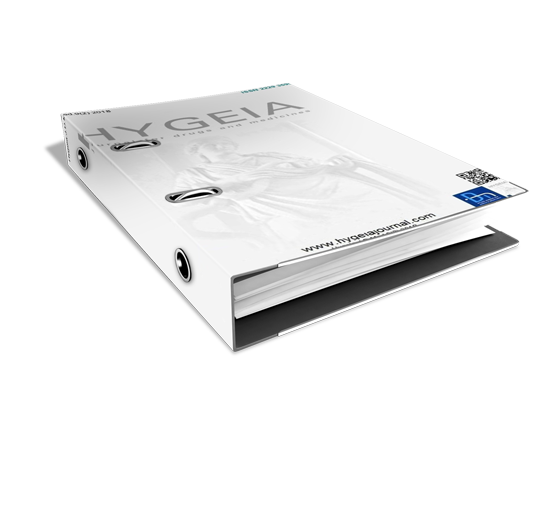 I / We, the undersigned author(s) of the manuscript entitled…………………………………….hereby declare that the above manuscript which is submitted for publication in HYGEIA.J.D.Med. is not under consideration elsewhere. The manuscript is not published already in part or whole (except in the form of abstract) in any journal or magazine for private or public circulation. No part of this manuscript (referenced or otherwise) has been copied verbatim from any source. Permission to reproduce table no. ( ) and figure no. ( ) has been obtained and submitted. Reproduced text, if any has been given in italics and within quotes. 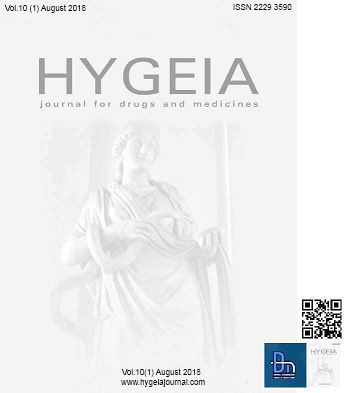 I/we give consent for publication in HYGEIA.J.D.Med. in any media (print, electronic or any other). I /we do not have any conflict of interest (financial or other) other than those declared. I/we have read the final version of the manuscript and am/are responsible for what is said in it. The work described in the manuscript is my/our own and my/our individual contribution to this work is significant enough to qualify for authorship. No one who has contributed significantly to the work has been denied authorship and those who helped have been duly acknowledged. I/we also agree to the authorship of the article in the following sequence.